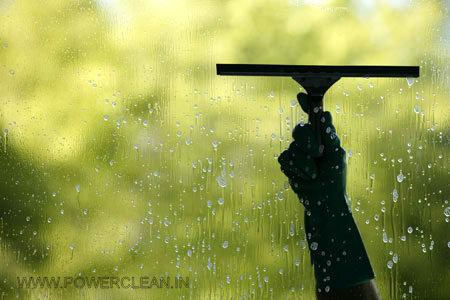 POWER CLEAN-[GC] is a very effective Glass Cleaning Chemical that removes Dirt, Dust e.t.c from glass, mirrors .. quickly. Cost effective and Powerful Glass Cleaner that Works Hard & Fast! 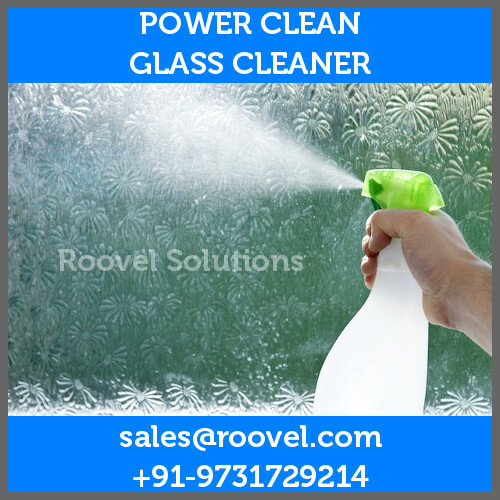 POWER CLEAN-GC was formulated specifically for cleaning Glasses / Windows Streak Free. POWER CLEAN GC is an excellent Glass Cleaner. You can use this on any type of glass, tinted, standard, etc. Cleans without streaks. POWER CLEAN GC is a safe, versatile, environmentally responsible product that does not sacrifice performance. 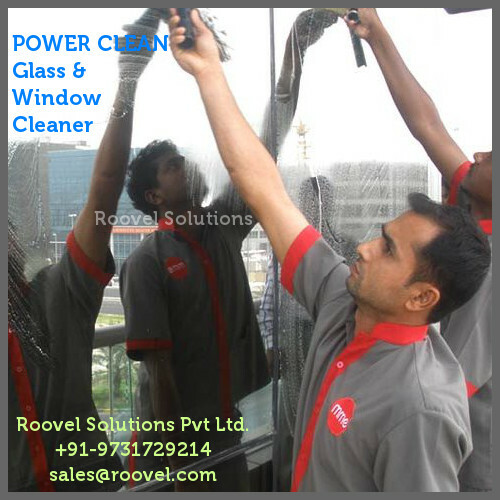 It is a highly concentrated glass cleaner that dissolves, suspends and removes soil from glass, windows, mirrors, walls and other surfaces not harmed by water. Leaves no residue. Helps prevent re-soiling. .
POWER CLEAN - GC is supplied as a liquid concentrate. Use this product diluted down with water 1 - 15% concentration by volume, based on contamination.POWER CLEAN-GC [Glass cleaner] penetrates deposits and dissolves oil and most products of incomplete combustion. We had some cement specs on the windows and wanted to remove. We used this product diluted and it worked very well. Like to know more.. Just Ask..
All round Industrial Cleaner / Degreaser that very effectively removed Oil, Grease, Dirt, Dust very FAST!. Use it with your ultrasonic cleaner or spray wash equipment or immersion tank or manually, this product WORKS!!. Excellent Aqueous based concentrated alkaline Non Ferrous Cleaner / Degreaser. This Alkaline Industrial Soft Metal Cleaner / Degreaser removes oils, dirt, grease, dust e.t.c from Aluminium, Copper, Brass e.t.c easily and quickly without harming the metals. You will not see any white patches or white rust with this excellent cleaner. Excellent Concentrated Industrial Floor Cleaner that be further diluted and used to remove oil, grease, dirt that have been built up in your floor shop. Low or No Foam Spray Cleaner and Degreaser which provides exceptional cleaning results in conjunction witha hi jet spray cleaning machine. Stainless Steel Cleaner that works very effectively in different types of SS materail (304, 316...). It cleans and shines stainless steel quickly. In todays competitive word keeping your component bins clean is as important as keeping your components clean. POWER CLEAN Bin Washing Cleaner is an exceptional cleaner that can remove dirt, oil, grease e.t.c very fast.